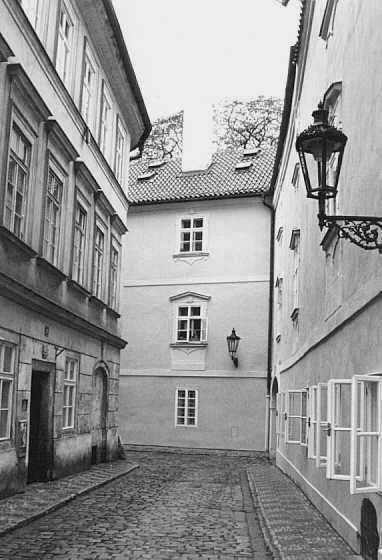 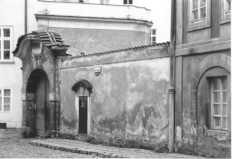 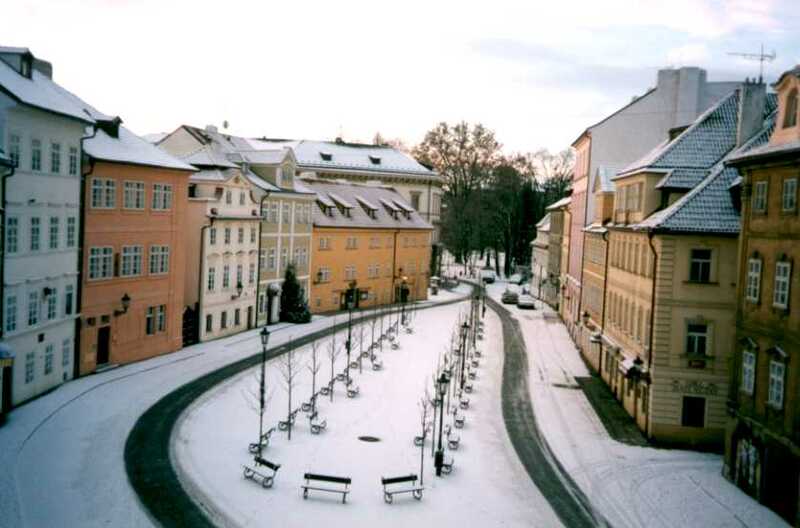 To the right is a photo of Kampa which was taken from the stairs leading down from the Charles Bridge. 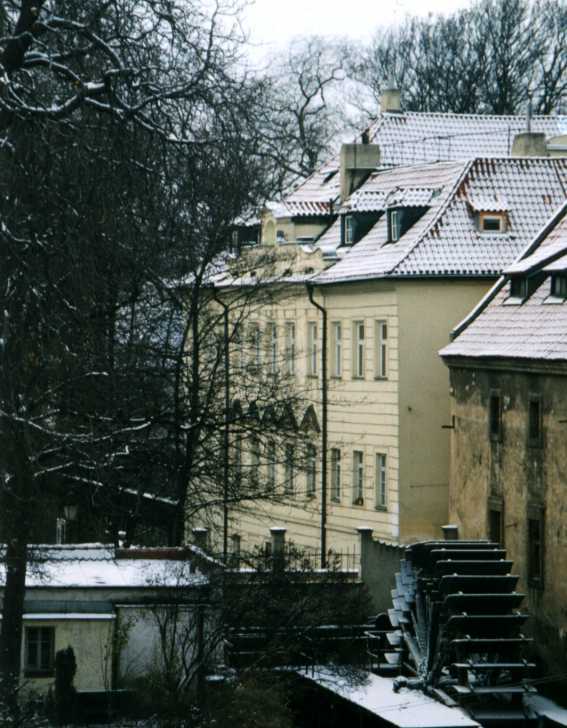 The stairs from which this photo was taken feature on the Karlov Most page. 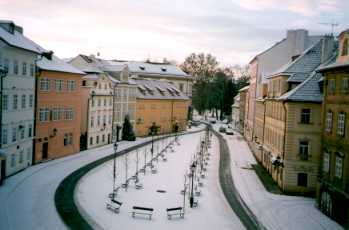 The frozen water wheel of the Grand Priory Mill on the Certovka (Devil's Stream) which separates Mala Strana from Kampa Island. 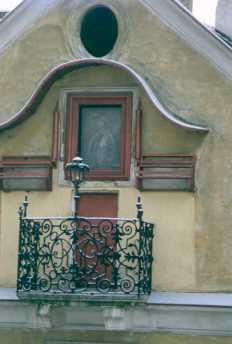 An interesting balcony, taken from the Mala Strana end of the Charles Bridge. 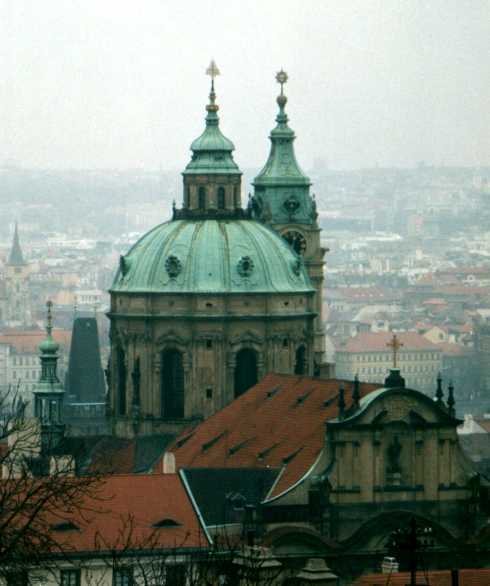 The dome of the bell tower of the church of St.Nicholas. 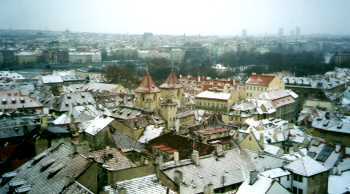 This photo was taken from the castle. 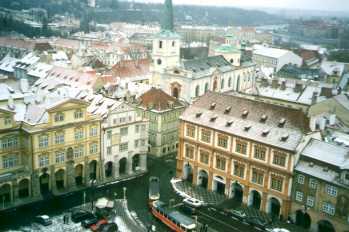 Looking down on Malostranske Namesti (the Lesser Quarter's town square) from the bell tower of St. Nicholas. 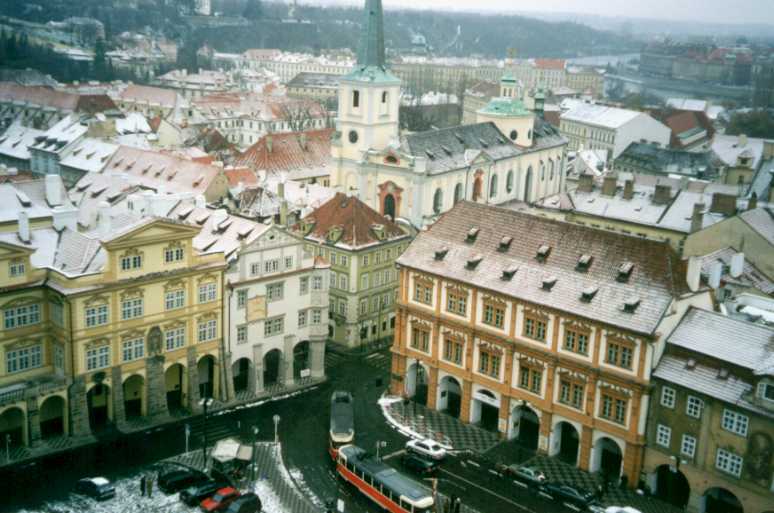 Roof tops of Mala Strana under a light cover of snow. 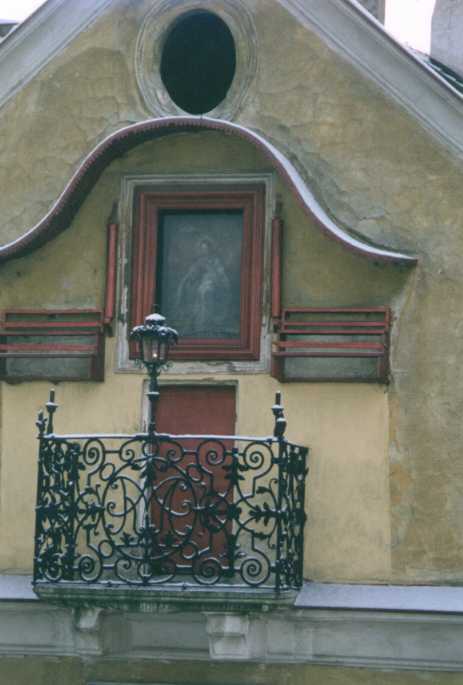 An interesting gate on Lazenska. 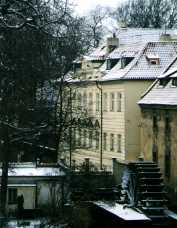 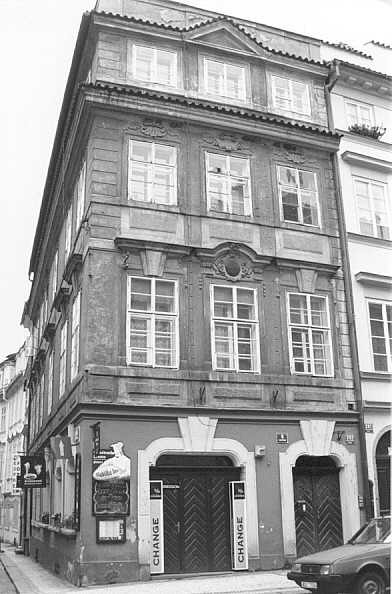 House on Mostecka, near the Charles Bridge. 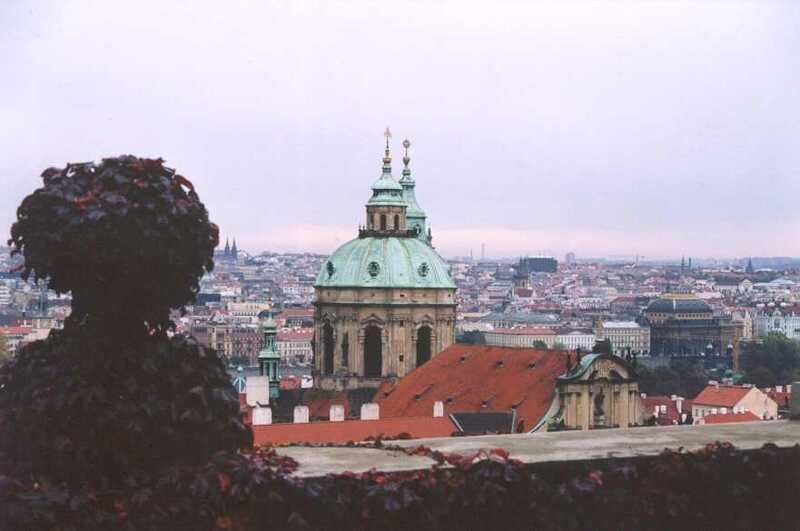 A view of the dome of St. Nicolas church in Mala Strana from Prague castle. 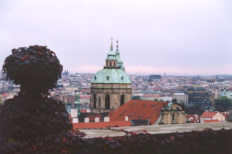 Above: the John Lennon wall, snapped in December 1998. 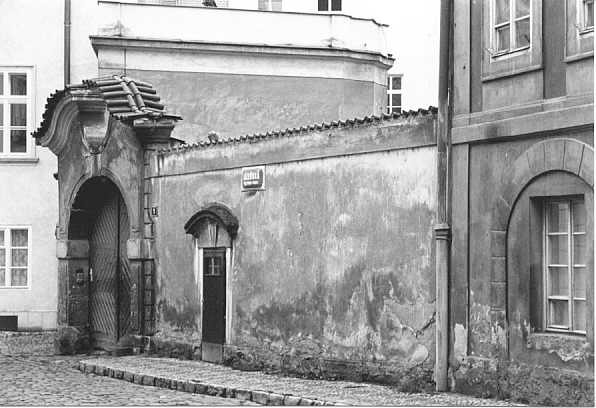 Check out the many different lives of this mural on flickr.